Not a single bit of detail was overlooked on this show stopper a-line ballgown. 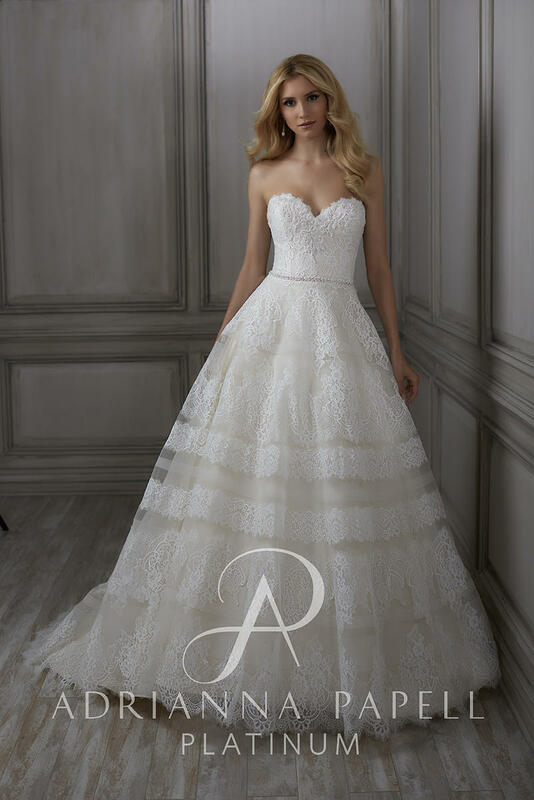 The strapless bodice feature lace that has been delicately beaded. There is a thin beaded belt that has been placed at the waist. 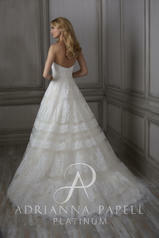 The tulle skirt has been constructed with bands of horsehair and placed lace scallops and bands.